What's the name of this keyboard layout? Who is this UX pioneer, a professor and author of the books, Designing the User Interface and Leonardo's Laptop? 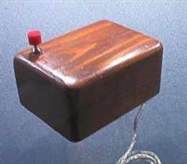 Here's a picture of the first computer mouse. Who invented it? According to the Web Content Accessibility Guidelines (WCAG) 2.0, what minimum color contrast is required for text less than 18 points, for level AA compliance? Who created these iconic designs? Who's the creator of the System Usability Scale (SUS)? In a UX context, what does BERT stand for? When was the menu button shown below, also called the Hamburger Menu or Pancake Menu, first introduced? 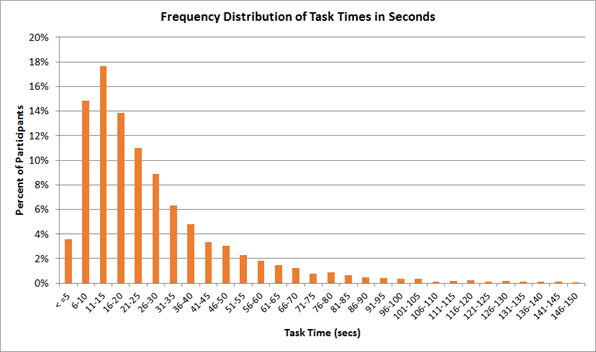 Assume you did an online usability study with 500 participants and got a frequency distribution of times for one task as shown below. The median is 21 seconds. What will the mean be, relative to the median? 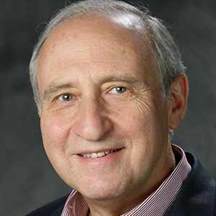 Who wrote the book, The Psychology of Human-Computer Interaction, first published in 1983?